Although simple scratches don’t seem like a major problem, they can drive some business away. When most people see scratches on washers and dryers in a commercial environment, they usually think that the equipment is old or inefficient. As a result, they might try to find another facility nearby to has shiny or newer laundry equipment. If you want to maintain a consistent flow of customers, you’ll need to implement practical procedures to keep scratches off your laundry equipment. All washers and dryers in your building should be installed one inch from the wall or another appliance. The extra space is important because a typical washer or dryer will vibrate and move slightly throughout a cycle. If there is additional space around a unit, the housing won’t scratch when the frame slides and shifts. Another benefit is that a washer or dryer will operate more efficiently while it’s properly positioned from a wall. A very demanding or frequently used unit must be several inches from a wall because the extra real estate will provide better ventilation. Overloading: When too many clothes are loaded in a washer or dryer, the hardware struggles to complete a cycle. As this happens, strong vibrations will cause shifting. If the vibrations propel a unit against a wall, and the impact will produce scratches on the housing. By setting rules for clothing quantities, your washers and dryers will never vibrate and move. 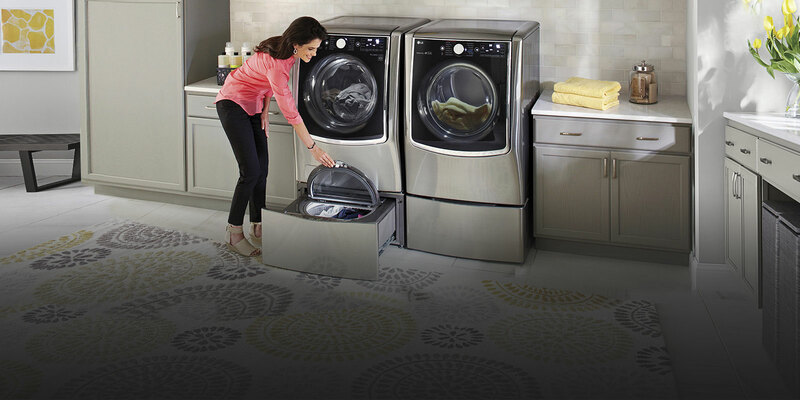 Coins: Coins can jump and shake when they’re placed on washer or dryer during a cycle. If many coins constantly jump and land on a unit, the momentum can generate light scratches. You can avoid this problem by placing a sign about coins over your washers and dryers. Pets: A no pets allowed sign should be placed outside your laundry facility. If you allow dogs in your building, they may scratch your washers with excitement as clothes spin around in the drums. These tactics can help you keep delicate washers and dryers in optimum condition. If you protect your equipment properly, you’ll have no problems competing with other commercial laundry companies.